This is the T-Biz Tube T-Seps and T-RIP Videos page. Watch some great step-by-step videos on both products. There are more Training Videos for T-Seps HERE. Pick a Video and Enjoy! Click on a title and a player will open. 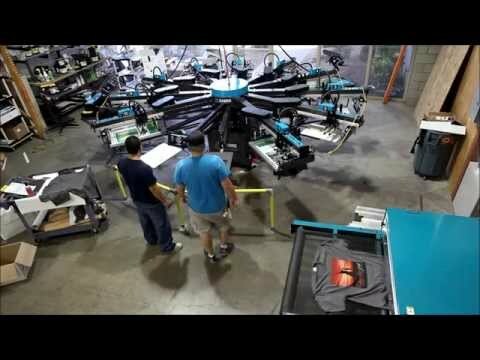 There are other videos on this site for T-Seps along with videos for U.S. Screen Print products including the T-Jet. Check out our entire collection at the T-Biz Network YouTube Channel. T-Seps 3.0 is a plug-in for Adobe Photoshop CS6 and CC. T-Seps 3.5.5 works in all CC versions. T-Seps converts RGB files into individual channel separations that work on light and dark shirts. It creates all the colors including an underbase and highlight white. And, it tells a screen printer the print order, mesh count, halftone lpi and ink color. T-Seps 3.0/3.5.5 creates color separations for Simulated Process Color, Index Color, CMYK, Discharge, Hot Split heat transfers, Black and White and Vintage look and Spot Color. It works on a Mac or PC and is the big brother of Scott Fresener's very popular FastFilms. T-Seps 3.0/3.5.5 was written and developed by industry pioneer Scott Fresener who is one of the leading color separators for garment screen printers. Learn more and download a 20-day free trial at www.T-BizNetwork.com or www.T-Seps.com. Video re-uploaded 7-29-13. If you are confused about Adobe's Creative Cloud software subscription service, this video will answer most of your questions. Scott Fresener of T-Biz Network www.T-BizNetwork.com takes you through the simple process of registering online and talks about some of the myths and realities of how it all works. This video is current as of September 20, 2013 and the viewer should always check the most current offers and pricing from Adobe. Scott also shows a brief overview of new features of Adobe Photoshop CS6/CC. 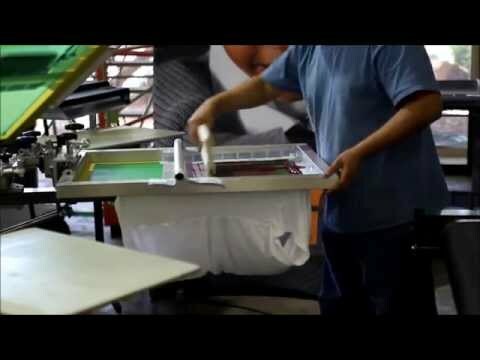 Learn more about T-Shirt screen printing and color separations at www.T-BizNetwork.com. 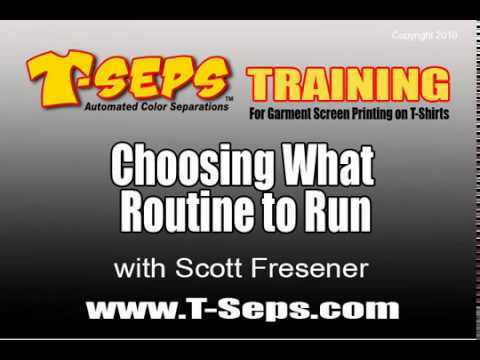 T-Seps 3.0/3.5 from Scott Fresener is the garment screen printing industry's number one automated color separation program. (This video can be used for the new T-Seps 3.5 since it is identical to 3.0 other than the version of Photoshop being used.) It is a plug-in for Adobe Photoshop CS6, CC, CC 2014 and CC 2015 and creates outstanding, vibrant color separations for light and dark shirts. 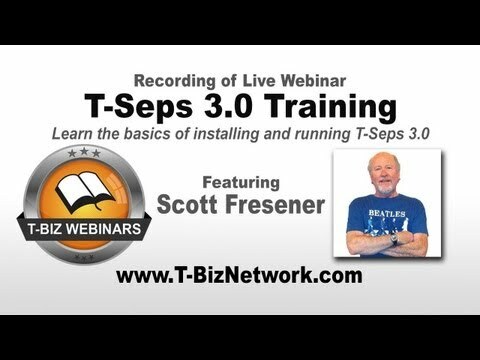 This video is a webinar featuring Scott Fresener showing the basic installation and directions for getting the most out of T-Seps 3.0. You will learn how to run the Simulated Process Color routine and do final tweaks to make the design screen print on T-Shirts with ease. 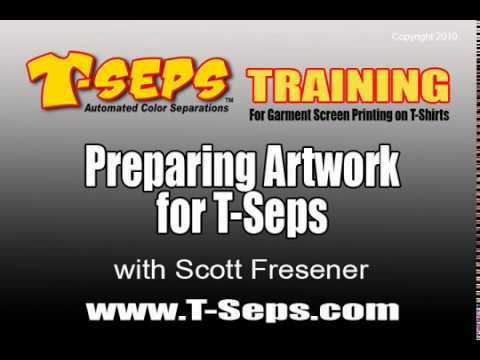 T-Seps is Scott Fresener's T-Shirt screen printing industry's popular color separation program for Adobe Photoshop. 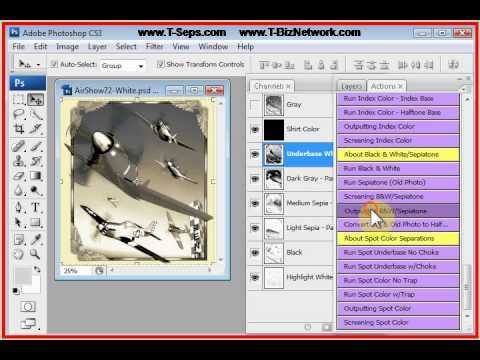 T-Seps 2.0 works in Photoshop CS6 and older. 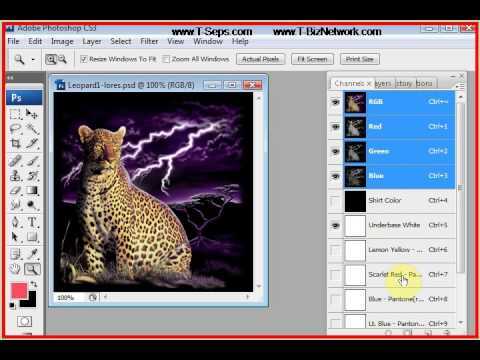 T-Seps 3.0 only works in Photoshop CS6 and CC. T-Seps 3.5.5 works in all the newer CC versions. 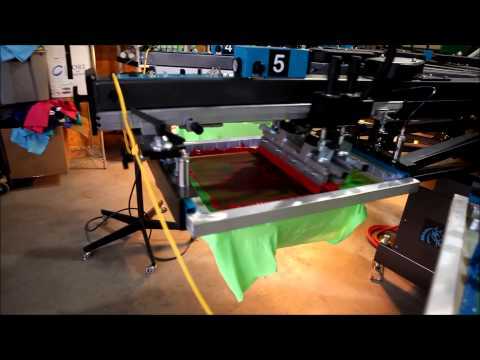 T-Seps does high-end color separations for light and dark shirts in less than one minute. It works as a plug-in in Adobe Photoshop and makes creating color separations easy for garment screen printers. This video is a webinar on how to do final tweaks after you complete the color separation process. 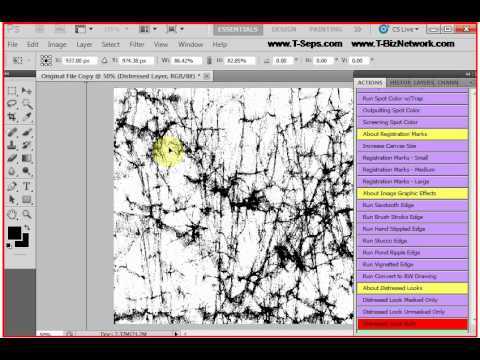 This webinar was done with T-Seps 3.0 but all of the techniques shown work on T-Seps 2.0 and T-Seps 3.5.5. 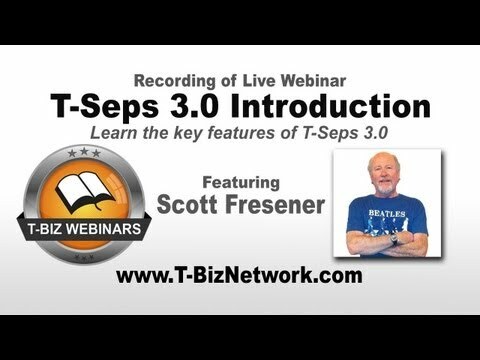 If you need more information about T-Seps watch the video called T-Seps 3.0 Introduction. For more information on this great program go to www.T-Seps.com or www.T-BizNetwork.com. You can also email Scott Fresener direct at scott@tbiznetwork.com. Scott Fresener of T-BizNetwork International walks us through the process of creating high-end color separations for screen printing. www.T-Seps.com. 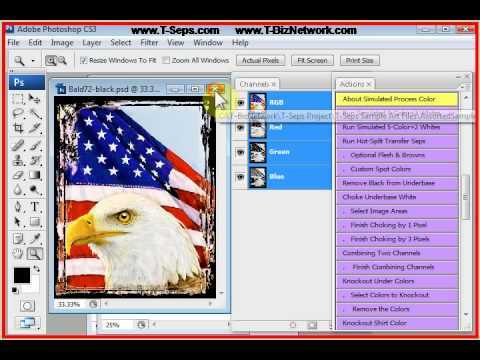 T-Seps is an Adobe Photoshop plugin that does very high-end color separations for T-Shirt screen printing. It was formerly called FastFilms and is written by FastFilms author Scott Fresener of T-Biz Network International. FastFilms has been used by leading screen printers around the world for ten years. Chances are if you buy a shirt with a photorealistic image on it for Disney, NASCAR, major movies or more, the separations were done with FastFilms/T-Seps. 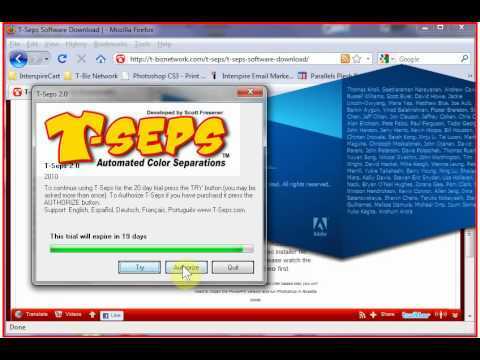 This video shows T-Seps 1.0. There have been major updates since this video was shot and the newer T-Seps 3.5.5 works all the way to Photoshop CC 2017 and have a new graphic interface and many new and improved routines. Download a FREE 20-day trial from http://www.t-seps.com. This webinar by Scott Fresener of www.T-BizNetwork.com is about the Scott's film output solution for screen printers called T-RIP. T-RIP is a software program that lets screen printers output high-quality film positives from inexpensive inkjet printers including creating halftone dots for grayscale areas. 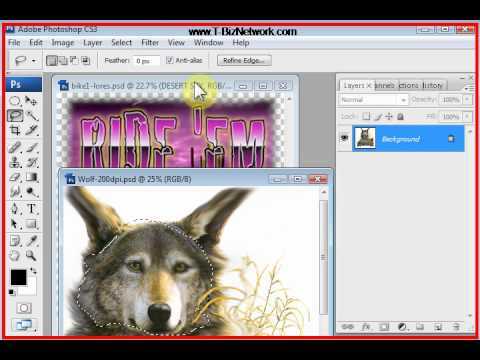 T-RIP can be used with Corel Draw, Adobe Illustrator and Adobe Photoshop to output imagesetter quality film positives. It not only creates halftone dots of grayscale areas but also controls the ink density and tells an inkjet printer to lay down a thicker deposit of ink on inkjet receptive inkjet film. 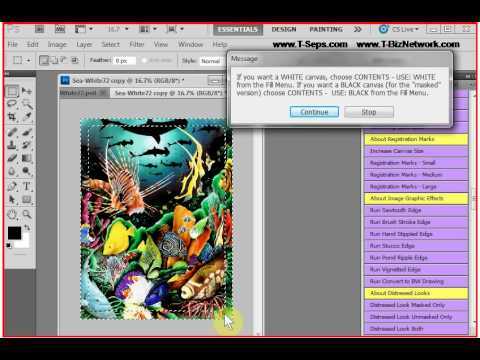 T-RIP is the "magic" interface between an inexpensive "dumb" inkjet printer and a computer graphics program. Scott Fresener was the first to introduce and industry specific RIP with FastRIP back in 2001. FastRIP has evolved into T-RIP. This short webinar shows how T-RIP works and also goes over common troubleshooting of T-RIP. For more information about T-RIP go to www.T-BizNetwork.com. Scott Fresener's T-Seps (formerly known as FastFilms) is the T-Shirt screen printing industry's best and most popular automated color separation plugin for Adobe Photoshop. High-end color separations which once took hours can be done in less than one minute with T-Seps. FastFilms has been used by leading screen printers around the world for ten years and T-Seps is the next generation of that program. Chances are if you buy a shirt with a photorealistic image on it for Disney, NASCAR, major movies or more, the separations were done with FastFilms/T-Seps. T-Seps is in English, Spanish, French, German and Portuguese. 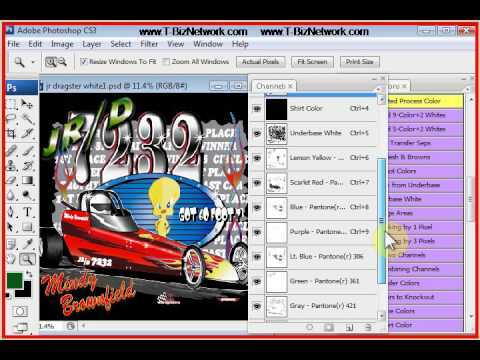 This short video shows how to run the RGB to CMYK color separation routine with T-Seps. For more information go to www.T-Seps.com or www.T-BizNetwork.com. Download a free 20-day fully functioning trial of T-Seps. T-Seps Rapid Fire Tour - Fasten Your Seat Belts! www.T-Seps.com. Scott Fresener's T-Seps (formerly FastFilms) is the T-Shirt screen printing industry's best and most popular color separation program. Hang on because this is fast and a THRILL RIDE! You will know what the best T-Shirt Color Separation Software in the Universe is after this 2:43 fast paced T-Seps tour. If you want to take your screen printing business to the next level then this is the magic program that will do it. You can do Simulated Process Color separations, Index Color separations, CMYK Color separations and much more with this Adobe Photoshop plugin. When you buy a shirt with a hot movie image on it from a major department store, chances are the color separations were done with T-Seps. 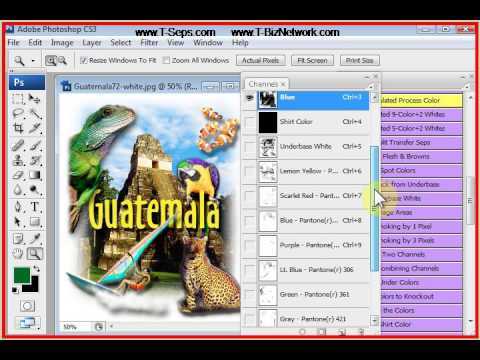 This quick video shows T-Seps 1.0. There is now a new an much improved version 3.0 and 3.5 that has a graphic interface. Check out the videos on the newer version at www.T-Seps.com. Download a free 20-day trial from www.T-Seps.com. Scott Fresener's T-Seps (formerly known as FastFilms) is the T-Shirt screen printing industry's best and most popular automated color separation plugin for Adobe Photoshop. High-end color separations which once took hours can be done in less than one minute with T-Seps. FastFilms has been used by leading screen printers around the world for ten years and T-Seps is the next generation of that program. Chances are if you buy a shirt with a photorealistic image on it for Disney, NASCAR, major movies or more, the separations were done with FastFilms/T-Seps. T-Seps is in English, Spanish, French, German and Portuguese. 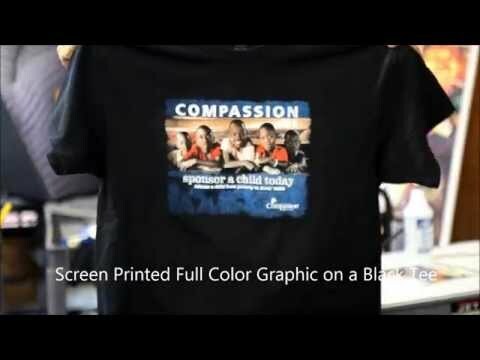 This short video shows how to create stunning images called Simulated Process Color on T-Shirts using T-Seps. For more information go to www.T-Seps.com or www.T-BizNetwork.com. Download a free 20-day fully functioning trial of T-Seps. Scott Fresener's T-Seps (formerly known as FastFilms) is the T-Shirt screen printing industry's best and most popular automated color separation plugin for Adobe Photoshop. 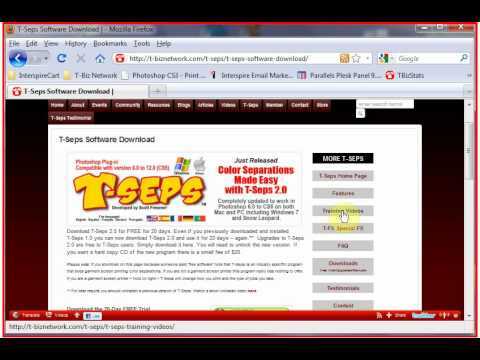 This short video shows how to run the Free Trial version of T-Seps. High-end color separations which once took hours can be done in less than one minute with T-Seps. FastFilms has been used by leading screen printers around the world for ten years and T-Seps is the next generation of that program. Chances are if you buy a shirt with a photorealistic image on it for Disney, NASCAR, major movies or more, the separations were done with FastFilms/T-Seps. T-Seps is in English, Spanish, French, German and Portuguese. For more information go to www.T-Seps.com or www.T-BizNetwork.com. Download a free 20-day fully functioning trial of T-Seps. 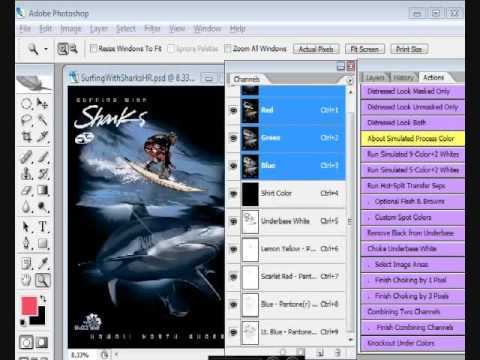 Scott Fresener's T-Seps (formerly known as FastFilms) is the T-Shirt screen printing industry's best and most popular automated color separation plugin for Adobe Photoshop. High-end color separations which once took hours can be done in less than one minute with T-Seps. FastFilms has been used by leading screen printers around the world for ten years and T-Seps is the next generation of that program. Chances are if you buy a shirt with a photorealistic image on it for Disney, NASCAR, major movies or more, the separations were done with FastFilms/T-Seps. T-Seps is in English, Spanish, French, German and Portuguese. This is a two part video that gives a great overview of how to use the program. For more information go to www.T-Seps.com or www.T-BizNetwork.com. Download a free 20-day fully functioning trial of T-Seps. Scott Fresener's T-Seps (formerly known as FastFilms) is the T-Shirt screen printing industry's best and most popular automated color separation plugin for Adobe Photoshop. 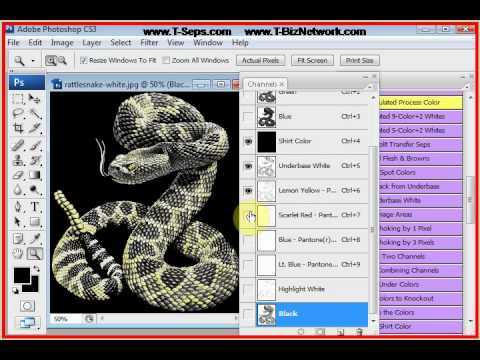 This short video is part two of a two part series on how to install T-Seps 2.0 on a Windows or Mac computer. High-end color separations which once took hours can be done in less than one minute with T-Seps. FastFilms has been used by leading screen printers around the world for ten years and T-Seps is the next generation of that program. Chances are if you buy a shirt with a photorealistic image on it for Disney, NASCAR, major movies or more, the separations were done with FastFilms/T-Seps. T-Seps is in English, Spanish, French, German and Portuguese. For more information go to www.T-Seps.com or www.T-BizNetwork.com. Download a free 20-day fully functioning trial of T-Seps. Scott Fresener's T-Seps (formerly known as FastFilms) is the T-Shirt screen printing industry's best and most popular automated color separation plugin for Adobe Photoshop. This short video is part one of a two part series on how to install T-Seps 2.0 on a Windows or Mac computer. High-end color separations which once took hours can be done in less than one minute with T-Seps. FastFilms has been used by leading screen printers around the world for ten years and T-Seps is the next generation of that program. Chances are if you buy a shirt with a photorealistic image on it for Disney, NASCAR, major movies or more, the separations were done with FastFilms/T-Seps. T-Seps is in English, Spanish, French, German and Portuguese. For more information go to www.T-Seps.com or www.T-BizNetwork.com. Download a free 20-day fully functioning trial of T-Seps. Scott Fresener's T-Seps (formerly known as FastFilms) is the T-Shirt screen printing industry's best and most popular automated color separation plugin for Adobe Photoshop. High-end color separations which once took hours can be done in less than one minute with T-Seps. FastFilms has been used by leading screen printers around the world for ten years and T-Seps is the next generation of that program. Chances are if you buy a shirt with a photorealistic image on it for Disney, NASCAR, major movies or more, the separations were done with FastFilms/T-Seps. T-Seps is in English, Spanish, French, German and Portuguese. 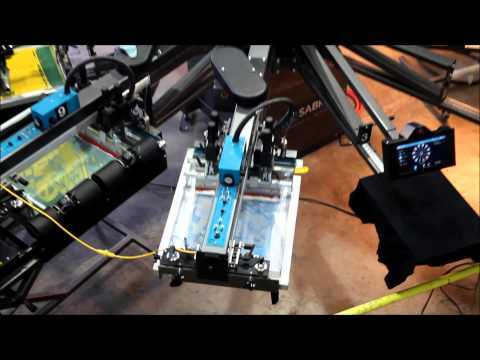 This short video shows how to run the Discharge Ink routine in T-Seps. This routine is designed for very specific separations that will print with the popular discharge waterbased screen printing ink. For more information go to www.T-Seps.com or www.T-BizNetwork.com. Download a free 20-day fully functioning trial of T-Seps. 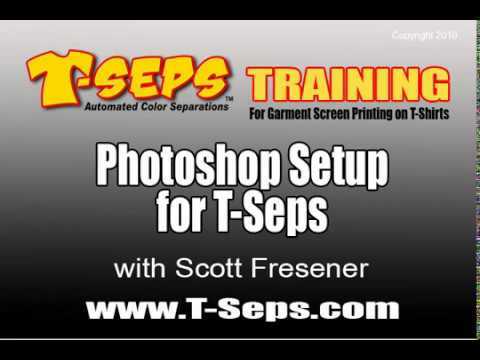 Scott Fresener's T-Seps (formerly known as FastFilms) is the T-Shirt screen printing industry's best and most popular automated color separation plugin for Adobe Photoshop. 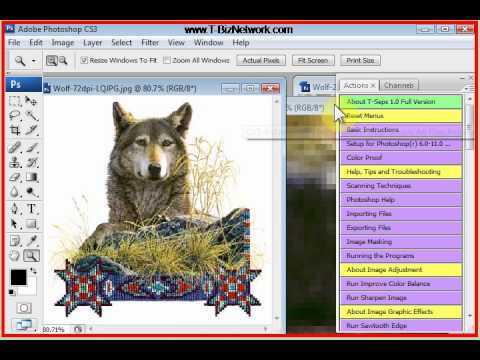 This short video shows how you can easily improve low quality JPG files using T-Seps. High-end color separations which once took hours can be done in less than one minute with T-Seps. FastFilms has been used by leading screen printers around the world for ten years and T-Seps is the next generation of that program. Chances are if you buy a shirt with a photorealistic image on it for Disney, NASCAR, major movies or more, the separations were done with FastFilms/T-Seps. T-Seps is in English, Spanish, French, German and Portuguese. For more information go to www.T-Seps.com or www.T-BizNetwork.com. Download a free 20-day fully functioning trial of T-Seps. 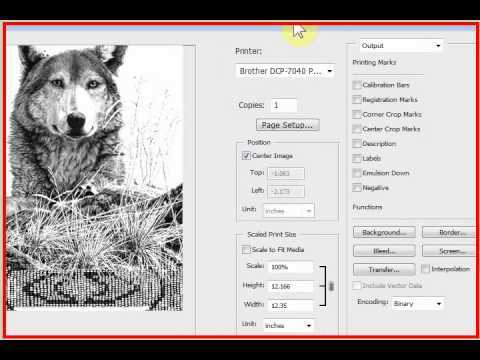 The T-Seps Halftone Converter is a plugin for any version of Adobe Photoshop - Mac or PC - that will convert a typical channel separation or grayscale image to halftone dots. 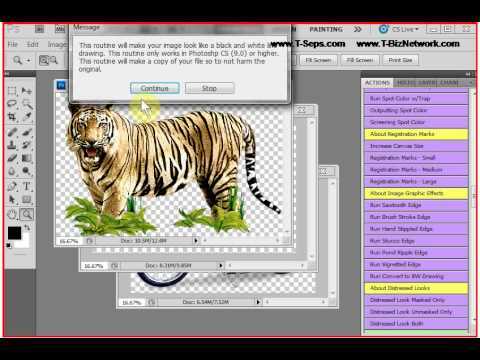 This program helps eliminate the problem of the missing "screen" button that Adobe removed in Photoshop CS5 and CS6. If also allows you to print to any inkjet printer or laser printer without a software rip and get great looking halftone dots. This program was developed by Scott Fresener. You don't need T-Seps to use this program. 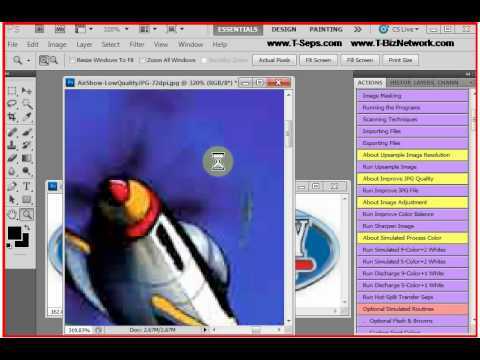 It works with any Photoshop files including those created by any automated separation program. For more information go to www.T-Seps.com. Scott Fresener of www.T-BizNetwork.com and developer of FastFilms and T-Seps automated color separation programs cuts through the mystery and shows you all about Adobe Photoshop. If you have never use Photoshop before, this video series is for you. 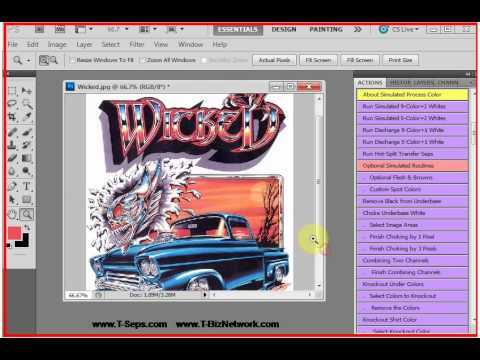 If you have used Photoshop watch anyway - because there are lots of tips and tricks and things the manual and your momma never told you about this great program. From the basics through using the tools, creating images with Layers, doing special effects and more - its all here. This is part one of a three part series. 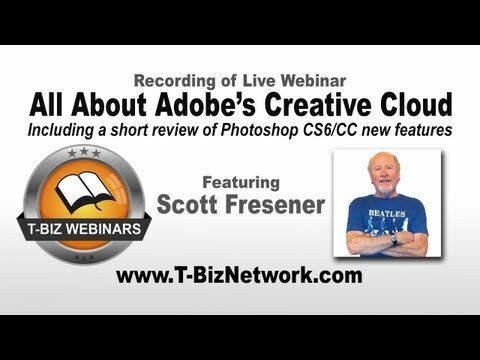 Scott Fresener of www.T-BizNetwork.com and developer of FastFilms and T-Seps automated color separation programs cuts through the mystery and shows you all about Adobe Photoshop. If you have never use Photoshop before, this video series is for you. 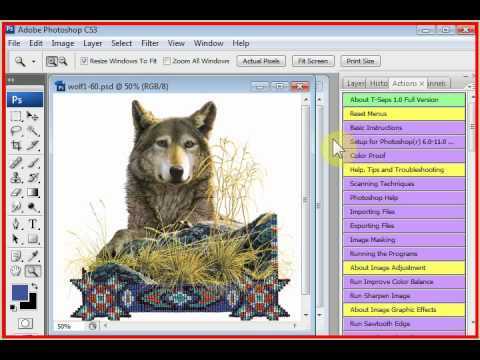 If you have used Photoshop watch anyway - because there are lots of tips and tricks and things the manual and your momma never told you about this great program. From the basics through using the tools, creating images with Layers, doing special effects and more - its all here. This is part two of a three part series. Scott Fresener's T-Seps (formerly known as FastFilms) is the T-Shirt screen printing industry's best and most popular automated color separation plugin for Adobe Photoshop. High-end color separations which once took hours can be done in less than one minute with T-Seps. FastFilms has been used by leading screen printers around the world for ten years and T-Seps is the next generation of that program. Chances are if you buy a shirt with a photorealistic image on it for Disney, NASCAR, major movies or more, the separations were done with FastFilms/T-Seps. T-Seps is in English, Spanish, French, German and Portuguese. This short video gives an overview of the Simulated Process Color routines in T-Seps. For more information go to www.T-Seps.com or www.T-BizNetwork.com. Download a free 20-day fully functioning trial of T-Seps. Scott Fresener's T-Seps (formerly known as FastFilms) is the T-Shirt screen printing industry's best and most popular automated color separation plugin for Adobe Photoshop. High-end color separations which once took hours can be done in less than one minute with T-Seps. FastFilms has been used by leading screen printers around the world for ten years and T-Seps is the next generation of that program. Chances are if you buy a shirt with a photorealistic image on it for Disney, NASCAR, major movies or more, the separations were done with FastFilms/T-Seps. T-Seps is in English, Spanish, French, German and Portuguese. This short video shows how to run the popular Index Color separation routine. For more information go to www.T-Seps.com or www.T-BizNetwork.com. Download a free 20-day fully functioning trial of T-Seps. Scott Fresener's T-Seps (formerly known as FastFilms) is the T-Shirt screen printing industry's best and most popular automated color separation plugin for Adobe Photoshop. 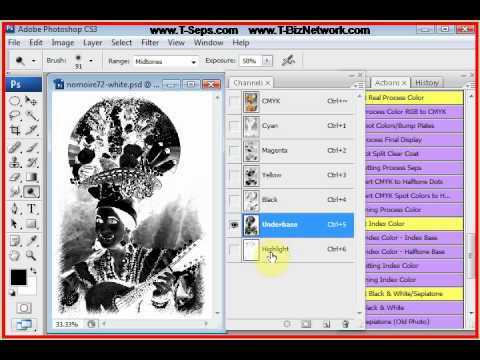 This short video shows how to convert a full-color image into a black and white drawing using T-Seps. High-end color separations which once took hours can be done in less than one minute with T-Seps. FastFilms has been used by leading screen printers around the world for ten years and T-Seps is the next generation of that program. Chances are if you buy a shirt with a photorealistic image on it for Disney, NASCAR, major movies or more, the separations were done with FastFilms/T-Seps. T-Seps is in English, Spanish, French, German and Portuguese. For more information go to www.T-Seps.com or www.T-BizNetwork.com. Download a free 20-day fully functioning trial of T-Seps. Scott Fresener's T-Seps (formerly known as FastFilms) is the T-Shirt screen printing industry's best and most popular automated color separation plugin for Adobe Photoshop. 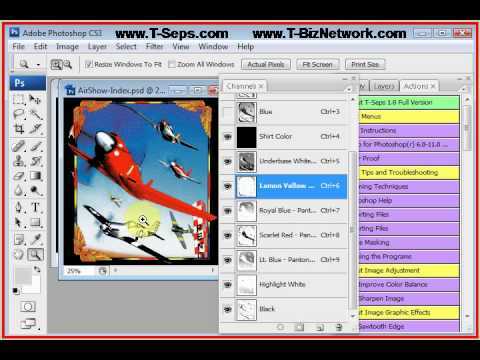 High-end color separations which once took hours can be done in less than one minute with T-Seps. FastFilms has been used by leading screen printers around the world for ten years and T-Seps is the next generation of that program. Chances are if you buy a shirt with a photorealistic image on it for Disney, NASCAR, major movies or more, the separations were done with FastFilms/T-Seps. T-Seps is in English, Spanish, French, German and Portuguese. This short video shows how to run the Distressed Look (washed and worn) with T-Seps. For more information go to www.T-Seps.com or www.T-BizNetwork.com. Download a free 20-day fully functioning trial of T-Seps. Scott Fresener of www.T-BizNetwork.com and developer of FastFilms and T-Seps automated color separation programs cuts through the mystery and shows you all about Adobe Photoshop. If you have never use Photoshop before, this video series is for you. 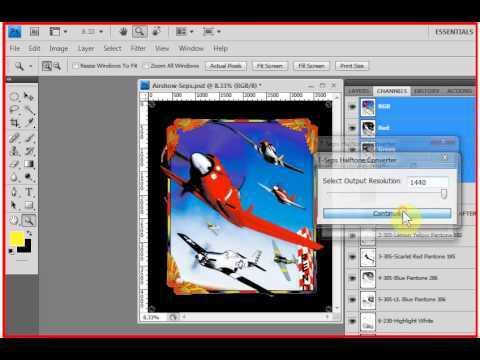 If you have used Photoshop watch anyway - because there are lots of tips and tricks and things the manual and your momma never told you about this great program. From the basics through using the tools, creating images with Layers, doing special effects and more - its all here. This is part three of a three part series. Scott Fresener's T-Seps (formerly known as FastFilms) is the T-Shirt screen printing industry's best and most popular automated color separation plugin for Adobe Photoshop. This short video shows how to do great edge effects to boring hard edge images. High-end color separations which once took hours can be done in less than one minute with T-Seps. FastFilms has been used by leading screen printers around the world for ten years and T-Seps is the next generation of that program. Chances are if you buy a shirt with a photorealistic image on it for Disney, NASCAR, major movies or more, the separations were done with FastFilms/T-Seps. T-Seps is in English, Spanish, French, German and Portuguese. For more information go to www.T-Seps.com or www.T-BizNetwork.com. Download a free 20-day fully functioning trial of T-Seps. 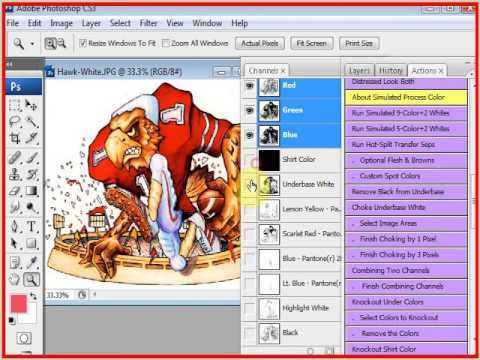 Scott Fresener's T-Seps (formerly known as FastFilms) is the T-Shirt screen printing industry's best and most popular automated color separation plugin for Adobe Photoshop. This short video shows how to use the custom Registration Marks routine in T-Seps. High-end color separations which once took hours can be done in less than one minute with T-Seps. FastFilms has been used by leading screen printers around the world for ten years and T-Seps is the next generation of that program. Chances are if you buy a shirt with a photorealistic image on it for Disney, NASCAR, major movies or more, the separations were done with FastFilms/T-Seps. T-Seps is in English, Spanish, French, German and Portuguese. For more information go to www.T-Seps.com or www.T-BizNetwork.com. Download a free 20-day fully functioning trial of T-Seps. Scott Fresener's T-Seps (formerly known as FastFilms) is the T-Shirt screen printing industry's best and most popular automated color separation plugin for Adobe Photoshop. 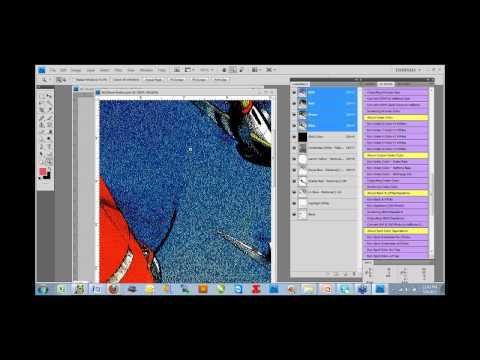 This short video shows how to improve low resolution images using the Upsample Image routine in T-Seps. High-end color separations which once took hours can be done in less than one minute with T-Seps. FastFilms has been used by leading screen printers around the world for ten years and T-Seps is the next generation of that program. Chances are if you buy a shirt with a photorealistic image on it for Disney, NASCAR, major movies or more, the separations were done with FastFilms/T-Seps. T-Seps is in English, Spanish, French, German and Portuguese. For more information go to www.T-Seps.com or www.T-BizNetwork.com. Download a free 20-day fully functioning trial of T-Seps. Scott Fresener's T-Seps (formerly known as FastFilms) is the T-Shirt screen printing industry's best and most popular automated color separation plugin for Adobe Photoshop. 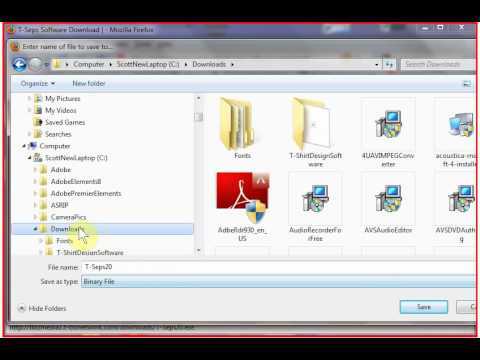 This short video shows how to uninstall T-Seps or FastFilms from your computer. High-end color separations which once took hours can be done in less than one minute with T-Seps. FastFilms has been used by leading screen printers around the world for ten years and T-Seps is the next generation of that program. Chances are if you buy a shirt with a photorealistic image on it for Disney, NASCAR, major movies or more, the separations were done with FastFilms/T-Seps. T-Seps is in English, Spanish, French, German and Portuguese. For more information go to www.T-Seps.com or www.T-BizNetwork.com. Download a free 20-day fully functioning trial of T-Seps. 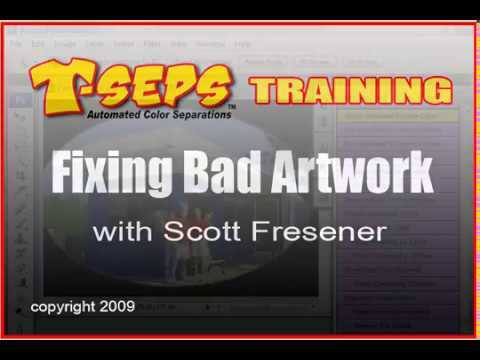 Scott Fresener's T-Seps (formerly known as FastFilms) is the T-Shirt screen printing industry's best and most popular automated color separation plugin for Adobe Photoshop. High-end color separations which once took hours can be done in less than one minute with T-Seps. FastFilms has been used by leading screen printers around the world for ten years and T-Seps is the next generation of that program. Chances are if you buy a shirt with a photorealistic image on it for Disney, NASCAR, major movies or more, the separations were done with FastFilms/T-Seps. T-Seps is in English, Spanish, French, German and Portuguese. 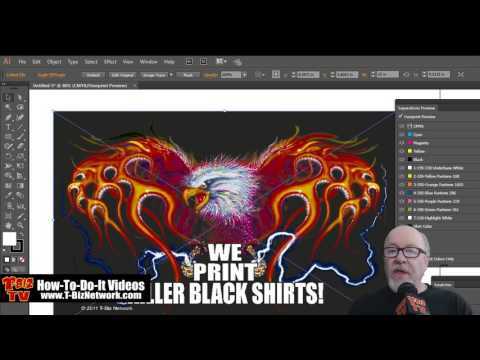 This short video shows how to get a rich Old Photo or Black and White look on light and dark shirts with color separations from T-Seps. For more information go to www.T-Seps.com or www.T-BizNetwork.com. Download a free 20-day fully functioning trial of T-Seps. 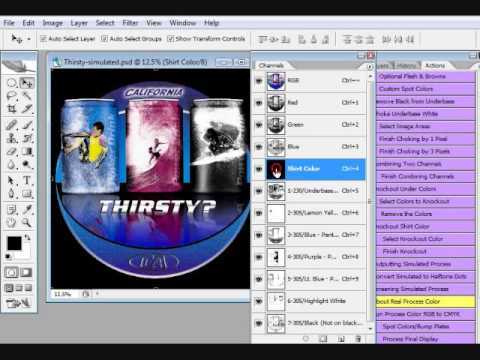 This show video features Scott Fresener showing how to open a typical Photoshop Channel Separation in Adobe Illustrator or Corel Draw to add additional graphic elements or simply print from one of those programs. Scott Fresener's T-Seps (formerly known as FastFilms) is the T-Shirt screen printing industry's best and most popular automated color separation plugin for Adobe Photoshop. 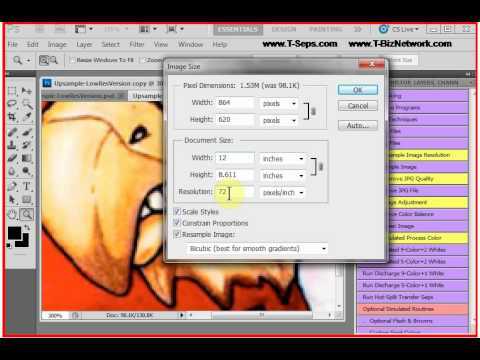 This short video shows how to setup Photoshop to work properly with T-Seps 2.0. These same options are in T-Seps 3.0 and 3.5.5. High-end color separations which once took hours can be done in less than one minute with T-Seps. This older video was originally at www.T-Seps.com and was uploaded to YouTube in April of 2017. For more information go to www.T-Seps.com or www.T-BizNetwork.com. Download a free 20-day fully functioning trial of T-Seps. 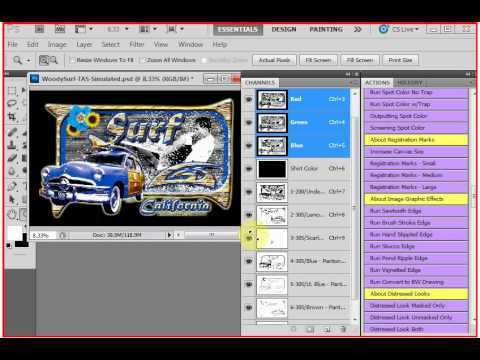 This short video shows how to prepare artwork in T-Seps 2.0. These same options are in T-Seps 3.0 and 3.5.5 with the addition of the ability to use only one file that has a transparent background. 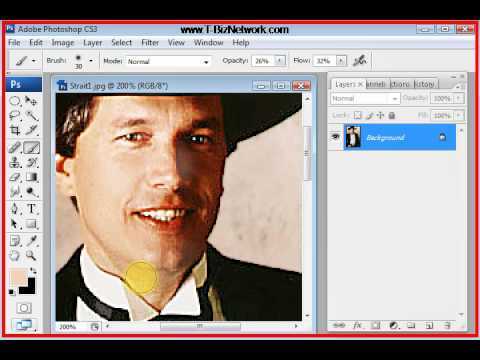 This short video shows how to fix bad artwork prior to running T-Seps. 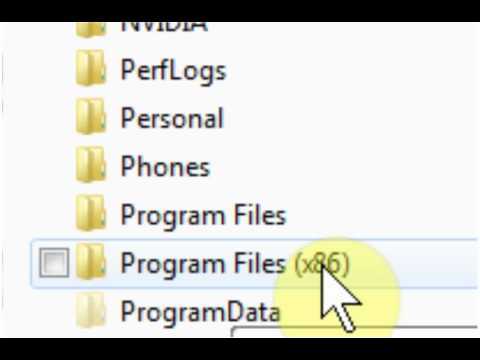 This short video shows how to determine what routine to run in T-Seps 2.0. These same options are in T-Seps 3.0 and 3.5.5 only there are more separtion routines. This short video details important before and after checks to do when running T-Seps. This video was shot using T-Seps 2.0 but the same steps and details apply to T-Seps 3.5.5. This short video shows a sample job using the 5-Color Simulated Process routine in T-Seps 2.0. These same options are in T-Seps 3.0 and 3.5.5 other than there is a new graphic interface. This is our first simulated process job on our new Sabre 10 color auto. Eight Color shirt on our Workhorse Sabre. Simulated Process using Tseps 3.0. The underbase is Plasticharge White, not seen is the second underbase of Cotton White Plastisol needed only on the Purple shirt because it did not discharge as well as the black shirt did. This short video shows a sample job using the 9-Color Simulated Process routine in T-Seps 2.0. These same options are in T-Seps 3.0 and 3.5.5 other than there is a new graphic interface. This short video shows a sample spot color job separated using the Simulated Process routine in T-Seps 2.0. These same options are in T-Seps 3.0 and 3.5.5 other than there is a new graphic interface. 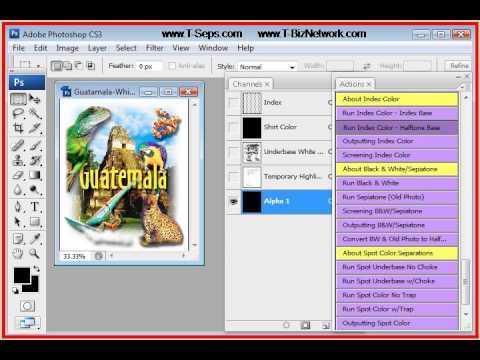 This short video shows running an Index Color Separation routine in T-Seps 2.0. These same options and routines are in T-Seps 3.0 and 3.5.5 other than there is a new graphic interface. This short video shows how to fix errors when running routines in T-Seps 2.0. These errors are normally from the file not be in the correct format or from an incorrect installation. These same options are in T-Seps 3.0 and 3.5.5 other than there is a new graphic interface. This short video shows outputting film from a Simulated Process Color separation in T-Seps 2.0. These same options are in T-Seps 3.0 and 3.5.5 other than there is a new graphic interface.